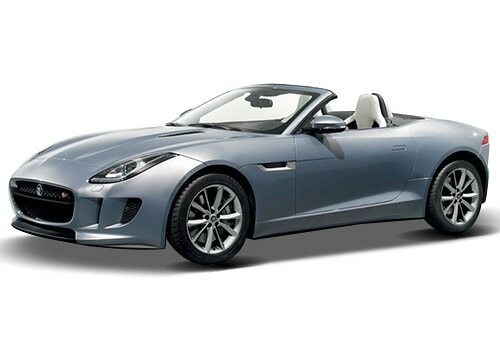 The Luxury and sporty car manufacturer Jaguar Land Rover (JLR), now completely owned by TATA Motors launched its much-awaited highly attractive Jaguar F Type convertible for India. Jaguar cars already got immense popularity with the products launched in the Indian auto market and this much hyped F Type was launched on 8th July, 2013. It will be offered with two options, supercharged V8 S and supercharged V6 S, in which the first model V8 S is made available in our country and the second one will be launched soon. 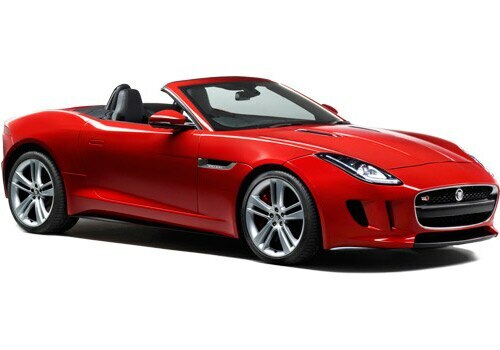 The rich Jaguar F TYPE Price is set to be INR. 1.16 crores (Ex – showroom, Mumbai without octroi).This stunning sporty car will be delivering a stiff competition to the Porsche 911, Cayman S, Audi R8 and Mercedes-Benz SLK 350. Since, this is the first sports car launched by the British auto maker in the span of last 38 years time when it rolled out E Type models. It is expected to give the best out of its machinery. The F-Type V6 S uses a 3.0-litre supercharged V6 engine to output the maximum power of 380 PS with a maximum torque of 460 Nm. This motor accelerates from 0 to 100 km/hr in just 4.9 seconds, with the top speed reaching at 275 kph. The F-Type V8 S is even quicker and efficient with the 5.0-litre supercharged V8 engine, providing the maximum power of 495 PS and 625 Nm of maximum torque. Touching a sprint of 100 kph from standstill is claimed in 4.3 seconds, providing with its top speed of 300 kph. The exterior designing of the Jaguar F Type features, a pair of ‘shark gill’ openings, which provides it a rear view mirror recognition, with deployable door handles aiding in a clean aerodynamic design, which further fits with car design. The rear LED tail lights of it are neatly wrapped around the wings of car and it has been provided with the diffuser integrated in the exhaust pipes. The engine is mated to an 8-speed quick shift automatic gearbox. Giving smarter looks to the car. They have added one more extra ordinary feature by giving a hidden spoiler at the rear end which comes up when the car is driven above 90 kph and goes down when it clocks down to 60 kph. Talking about the interiors of the model, the designing has been done by keeping the comforts of a driver in mind. It gives the facility of a thick rimmed small steering wheel and gear shift selector instead of its much familiar rotary dial with the well fitted sports seats. Jaguar F TYPE is an amazing sports car with striking features pictures give us an information about the shades in which the car is available. Till now, it has been being shown in three colours; Red, Ivory White and Metallic Silver. It also features adjustable suspension settings and adaptive dampers so that one can choose the comfortable mode from a total of 25 different driving modes according to the conditions.